Whether your jewelry is a family heirloom or a recent purchase, our staff will handle your cherished treasure with the upmost of care and diligence. 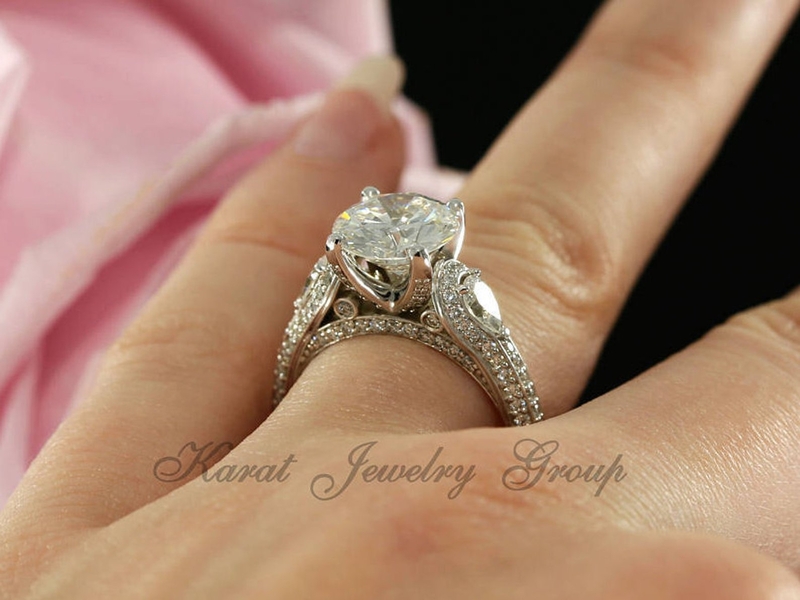 Only the highest standards of workmanship are applied at Karat Jewelry Group. Our craftsmen combine traditional methods with state-of-the-art technology on-site to ensure a service second to none. We are more than delighted to ensure that you get receive a world-class service for your rings, chains, necklaces, pendants and more. Karat Jewelry Group offers free fine jewelry cleaning and inspection every day here in Hinsdale IL- You do not need to set up an appointment, just simply walk in and our staff will assist you right away. We'll also make sure your stones are secure in their setting, and advise if any repairs are recommended. You may also bring in the jewelry from another store or place of purchase - we'll treat it with the same gentle care as we do if we made it ourselves. Jewelry can be very personalized and have a lot of meaning to ther person wearting it. We understand how precious these items can be, so the utmost care will be taken to assure your piece gets back to you just the way you want it so you can enjoy it for yearsw to come. We offer a wide range of fine jewelry repair and restoration services including inspection, redesign, and cleaning. We are happy to inspect and repair your favorite costume, antique, gold, and platinum jewelry. Jewelry repair and Inspection: It is very important to have your rings and jewelry regularly cleaned and maintained eac year through routine inspections. You can bring in your jewelry without an appointment for an inspection During inspection, we will assess the integrity of the setting. Using our high-powered microscope, we can see if the prong tips have worn down and if all gems are securely held in place. Minimize the risk of gem loss due to a loose or worn setting by scheduling an inspection today. We guarantee all jewelry repair and restoration work. Contact us for an appointment. The design process begins by meeting face-to-face at our store. A telephone or email consultation is also possible. You provide drawings, images or designs that have inspired you, or alternatively, choose from our selection to start the design process. 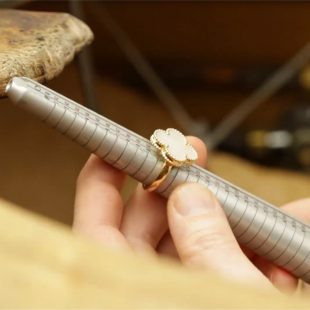 From your ideas, we will make hand sketches and, with you, make a decision on the design, gemstones, artistic techniques, finishes and precious metals. We will provide a detailed quotation and time frame for completion for your custom design. A Gemological Institute of America (‘GIA’) Graduate Specialist will help you select conflict-free diamonds and gemstones which are perfect for your design. You can supply your own gemstones. And we can create new items of jewelry from pre-loved items. The Karat Jewelry Group takes great pride in offering the finest Moissanite jewelry available in the USA. What Is Moissanite? : Moissanite is a gem made of silicon carbide and has very similar qualities to diamonds. Natural Moissanite is such a rare substance that it isn’t formed on Earth at all. It was only discovered because it comes to Earth in certain meteorites. Dr. Henri Moissin, a French scientist who later won the Nobel Prize for Chemistry, found microscopic particles of the substance in a meteor crater in Canyon Diablo, Arizona in 1893. He initially mistook it for diamond but subsequent analysis revealed he’d found something different. Years later, other scientists learned to synthesize Moissanite in the laboratory, and it’s this artificial Moissanite that makes Moissanite jewelry possible. That’s a good thing, because Moissanite pieces possess features that make them an appealing option. Brilliance. 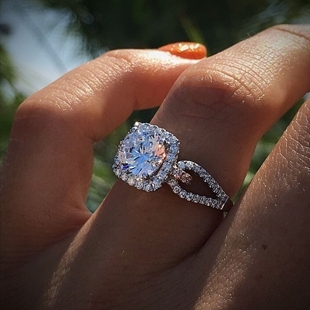 Like a diamond, Moissanite is an essentially colorless gemstone that sparkles brightly. That special flash. A Moissanite gemstone is faceted differently than a diamond, and as a result, it gives off a bright, distinctive rainbow flash that many people find appealing. Shape. Moissanite is available in a diversity of shapes including round, oval, emerald, cushion, pear, heard, and starburst. Durability. Diamond rates a perfect 10 on the Mohs Scale of Hardness, but Moissanite comes in just behind it at 9.25. That means it’s almost as resistant to damage. Longevity. Moissanite's durability combined with the fact that it’s unlikely to grow dull and cloudy with age means that Moissanite jewelry lasts a long time. We at the Karat Jewelry Group invite you to look at our selection of fine Moissanite pieces and see if one of them is right for you. The practice of making jewelry is as old as the first recorded presence of humans on the planet and the engraving of these items can be dated all the way back to prehistoric times. The first documented examples of engraving were basic scratching and designs put on decorative rocks and stones. Engraving on metal was first really becoming popular in the early to mid-15th century and soon became a popular way to leave messages, add meaning, and designate certain items as belonging to a particular individual. This was the start of what we call traditional engraving, and for centuries it was relegated to just a handful of metals that were easy work with- mostly gold, silver, copper, and platinum. 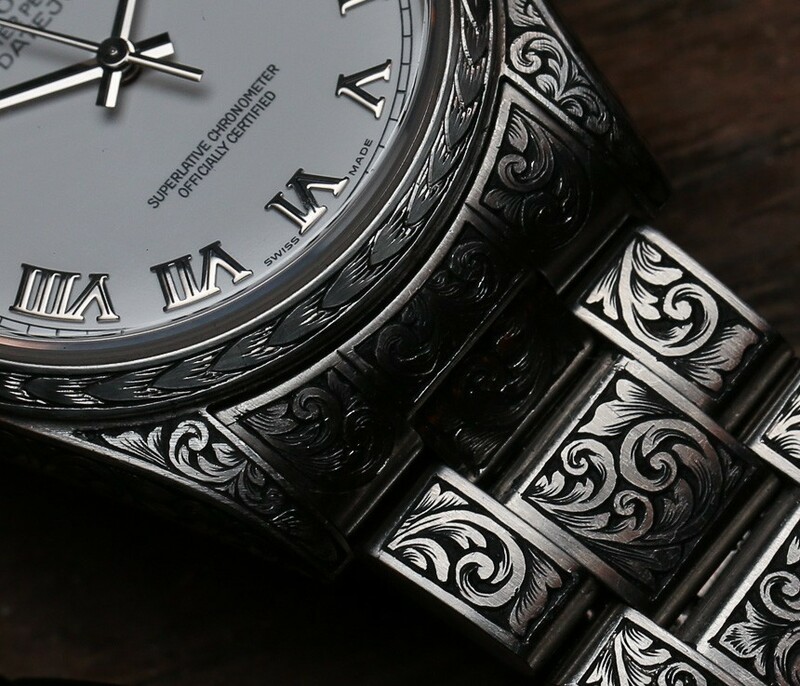 Laser engraving, which often is called laser etching among consumers, is a highly developed process of “ablating” the chosen metal by removing upper layers of the metal to create an image- and it can be done with great precision and a high level of detail.